⦁ Puregraft is a fat purifying device intended for the transfer of fat from one area of the body to another. 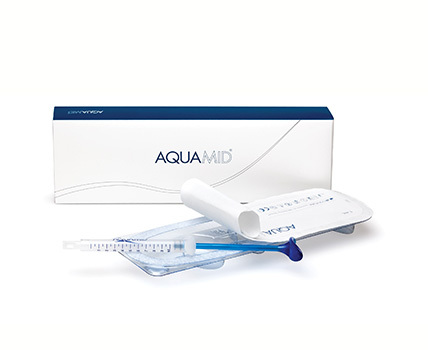 It is a proven system that delivers a longer lasting fat graft than ever before. 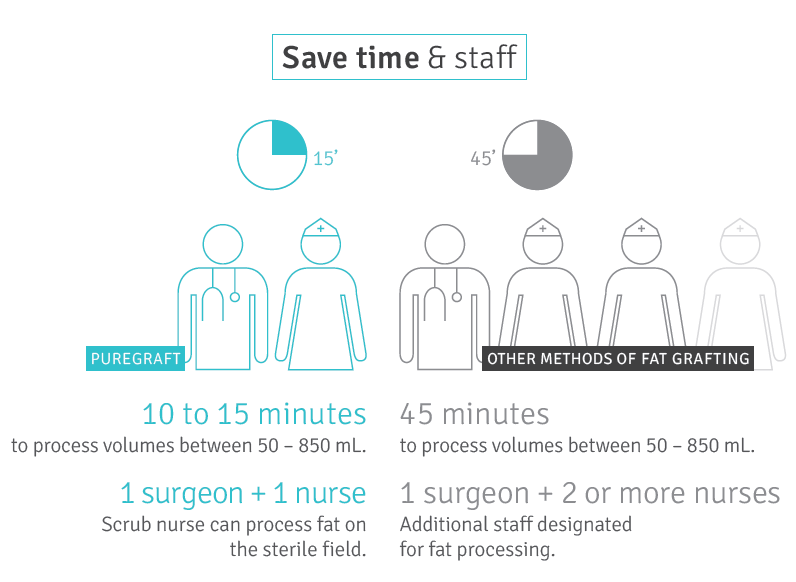 ⦁ With over ten years of tests and trials, the Puregraft filtration technology has highly reduced the risks from the fat grafting procedure. The optimization of fat tissue purity creates viable fat cells and lengthens fat graft retention rate. 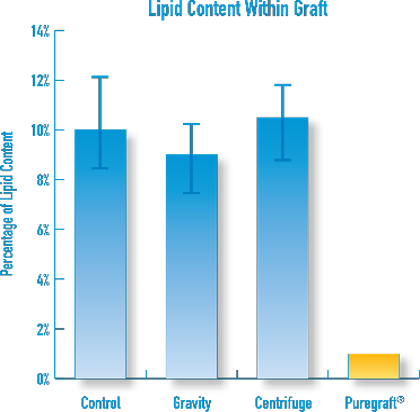 ⦁ Puregraft provides a reliable fat purification standard like none before. 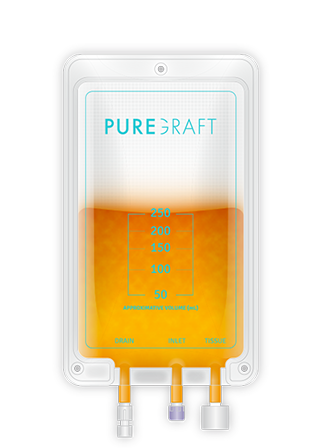 ⦁ With Puregraft’s filtration technology the OR technitian has the ability to dialyse the collected fat graft and filter 97% of contaminants (lipid, blood, and other fluids). 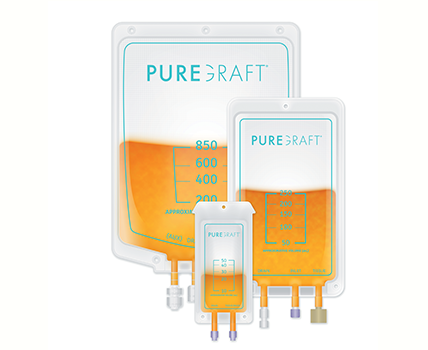 ⦁ Puregraft has been configured to accommodate small, medium, and large volumes of fat anywhere from 30ml to 850ml. 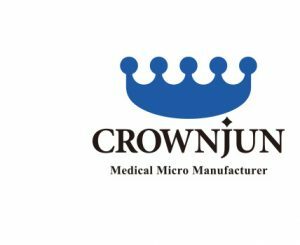 The process is safer and sterile, and for the patient it means that infection risks are highly decreased so tissue viability is also enhanced. ⦁ Puregraft’s advanced technology makes for a quicker surgical time (15 minutes) with superior and excellent results. When fats are harvested from any part of the body that has much of its volume, it can be transferred to any of the areas highlighted below. Fat can be transferred into deep facial creases as in the forehead lines, smile lines, and crow’s feet, to completely eradicate them and provide a youthful appearence. Fat can also be transferred into the cheeks and lips for a full look. 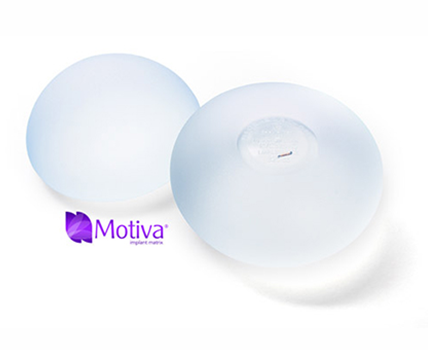 Puregraft fat grafting can be used for natural breast augmentation in women who don’t like the idea of implanting foreign materials into their body. The ideal candidates for this procedure are women with good skin elasticity, who desire a modest increase in breast size. Fat transfer to the hand via Puregraft can accomplish hand rejuvenation. The fat graft will slightly plump the hands, reduce wrinkles and make the hands look more youthful and smooth. Puregraft fat grafting is useful to get a rounder buttock for the women that desire it but do not wish implants. Liposuction can equally be used to contour the surrounding areas like the flanks. 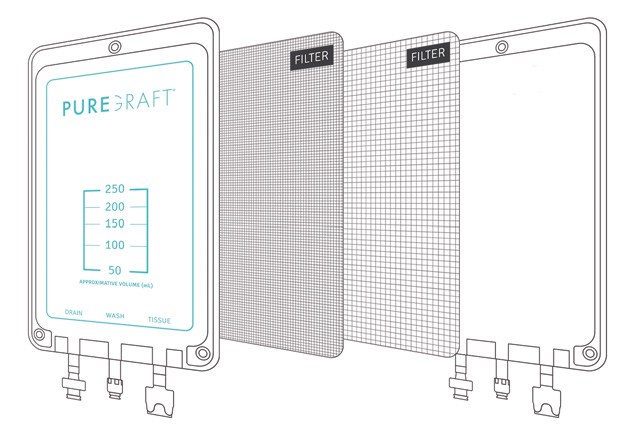 Puregraft’s selective filtration technology is an innovation to standardize the process variability. It is a closed-system design to purify fat tissue in a gentle manner to preserve the regenerative properties of fat. Re-sterilization is not a concern anymore with Puregraft bag that can be disposed after use. 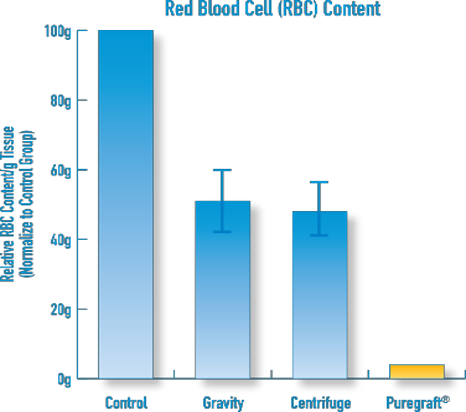 Puregraft is proven to removes 97% contaminants compare to other traditional method. Decrease of contaminant level; increase the retention rates. 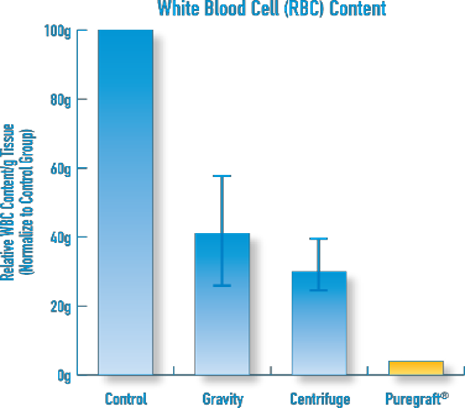 Fat that are purify with Puregraft has a significant result in lesser lipid content, lesser white blood cell (rbc) content and lesser red blood cell (rbc) content. Hence, produce a 97% cleaner graft. The simple 4-step process enables easy and quick graft preparation. Saving time and staff. It demonstrated a more consistent high performance with higher graft retention rate as compared with other harvest technologies. Allows you to use the technique you prefer with a better result of grafting. *For Doctors: Do note that only with the correct equipment, you can achieve the maximum outcome. 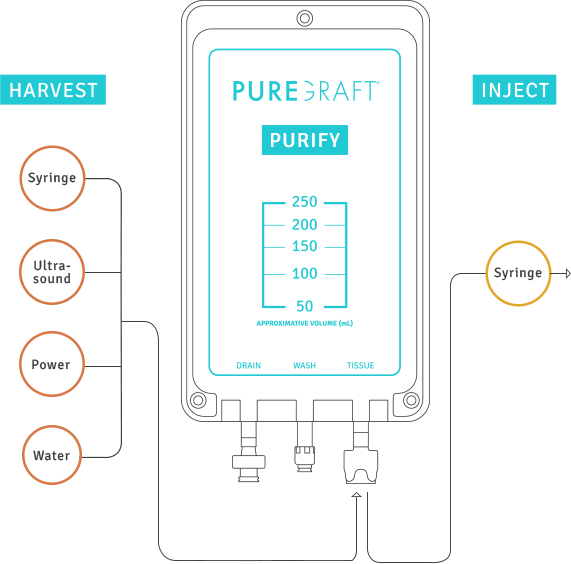 Puregraft Direct Harvest Kit is necessary to have.